Doubt it. 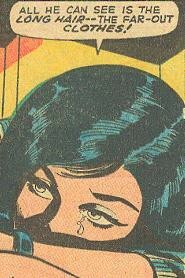 Although vintage romance comic book treasure trove Sequential Crush presents a convincing argument with 1970’s “His Hair Is Long and I Love Him,” a tale of love, money, music, and misunderstanding. See you on the flip side, Sequential Crush.